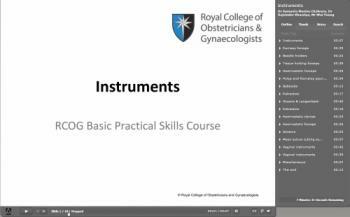 The following presentation gives an overview of surgical instruments used in obstetrics and gynaecology. To view the presentation, click on the link below. The presentation contains an audio commentary. If you can not listen to this commentary on speakers or headphones, then view the notes section of the presentation or click here to download a PDF version of the presentation.